Condition: Item in excellent tip-top working condition. Very well taken cared of by owner. 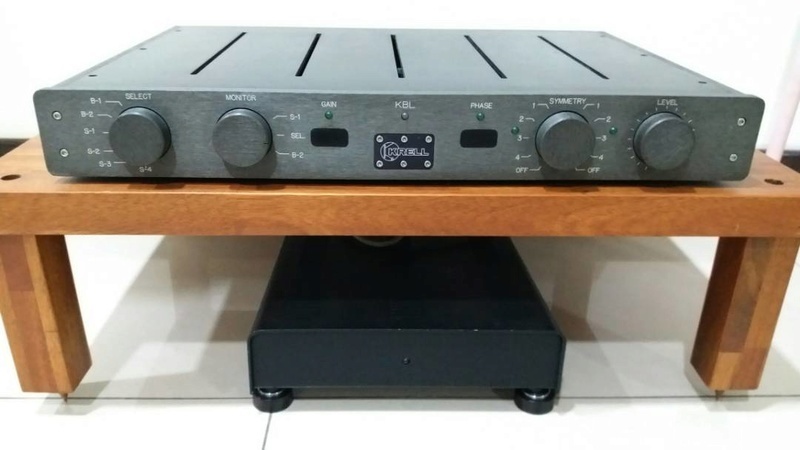 This was Krell's Best Pre-Amp when new just before the Krell KRC HR was introduced. This preamplifier uses high-bias, pure class A circuits throughout, including the power supplies and regulators. Circuits are DC coupled, with no capacitors in the signal path. Solid-state, class-A, DC-coupled, line-level, stereo preamplifier. Voltage swing: 65V peak-peak (23V RMS). Voltage gain: 3x (approximately 9dB).